KOOL KAR AUTO REPAIR: DIY A/C Repair- What Not to Do. At Kool Kar Auto repair we share the love of automobiles that the DIY Home Mechanic has. Auto Repair isn't just our business, it's our passion. 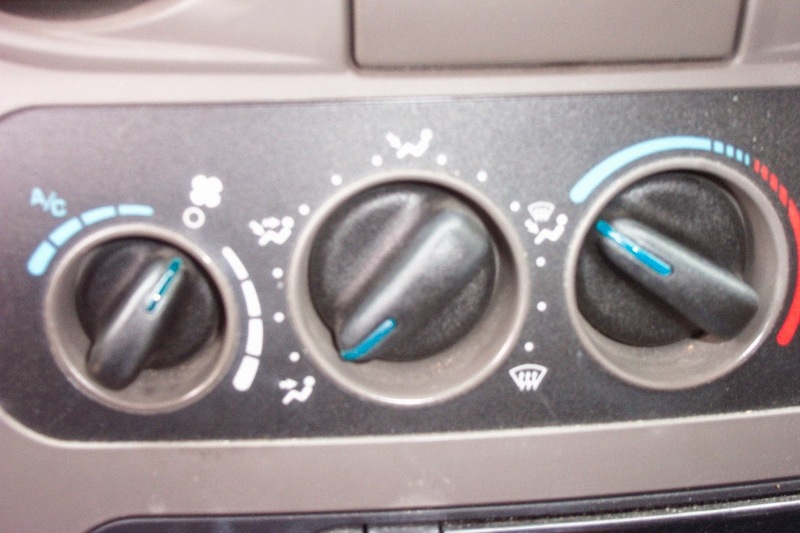 However... there are some things you should know before you attempt an A/C Repair on your vehicle. One of the most common problems we encounter at the shop is an A/C System that has been damaged by sealer that has been added to try and stop a leak. Adding Sealer to your system is a bad idea. Most sealers available at local auto parts stores can harden in the system and damage components like the compressor, Expansion Valve/Orifice Tube, and Evaporator. Once this occurs, the only way to repair it is to replace the entire system in most cases. A simple repair can become thousands of dollars worth of scrap metal very quickly. A customer brought their vehicle into the shop last summer that had exactly that happen. Not only did it damage the customer's A/C system, but our Refrigerant Recovery Machine was also damaged. Another common problem we encounter is an overcharged system. Overcharging your system can cause the system not to work efficiently and may cause unnecessary damage to seals, and expensive parts like the compressor, condenser, and evaporator. Many Late Model A/C Systems are extremely sensitive to refrigerant undercharge/overcharge. In fact, some system tolerances are so tight that as little as one ounce of refrigerant can cause system malfunctions. These systems require that the system be evacuated and the EXACT amount of refrigerant installed. Simply adding a pound of refrigerant doesn't work. The final thing to be careful of is the "Recharge Kit", also called a "Suicide Can" in the Auto Repair Industry. The recharge kits have a flaw in the overall design...they CAN be over-pressured by installation on the wrong port or possibly a severe over-pressure on the low side due to a restriction. When the pressure in the system exceeds the pressure in the can...well, lets just say you may have a shrapnel problem. The only right way to install refrigerant is with a proper equipment that allows the measurement of system pressure before the can is introduced to the system. DIY repairs can be rewarding and money saving...unless they result in unwanted costs and damage. And if you get into a repair and decide you are in over your head... bring it to Kool Kar Auto Repair in Azle, Texas...we'll be glad to help. I can see how adding sealer to a crack near the air conditioner is a super bad thing. It would be interesting to see how many people try to do their own auto repairs, but end up messing up. At least I know what my limits are and that the pros will always be able to help me. Right you are Bryan. Thanks for your comment.